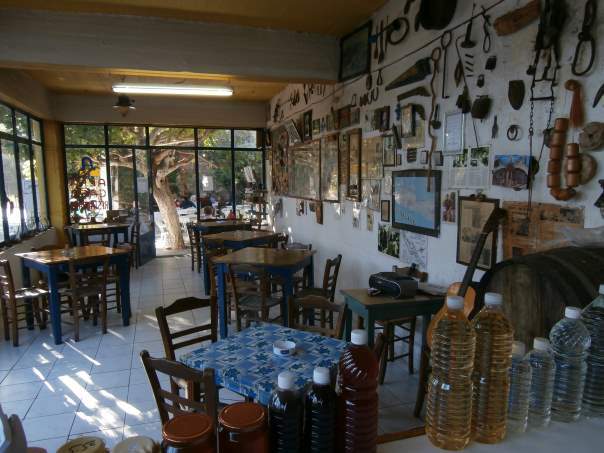 Alfa cafe and restaurant is set in the traditional beautiful village of Azogires, just 7km north of Paleochora. 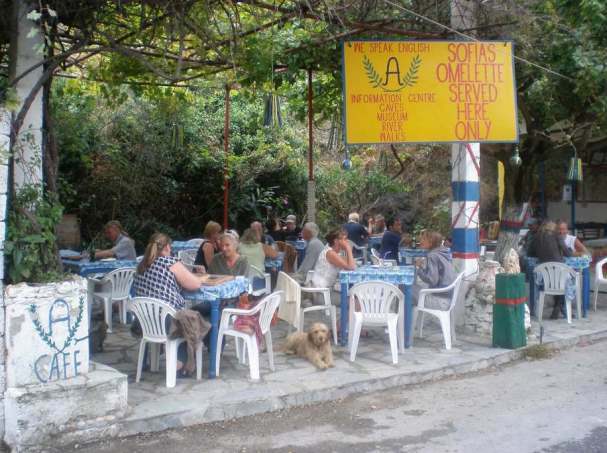 Azogires is mentioned in many tourist guides as the “Paradise Village”. 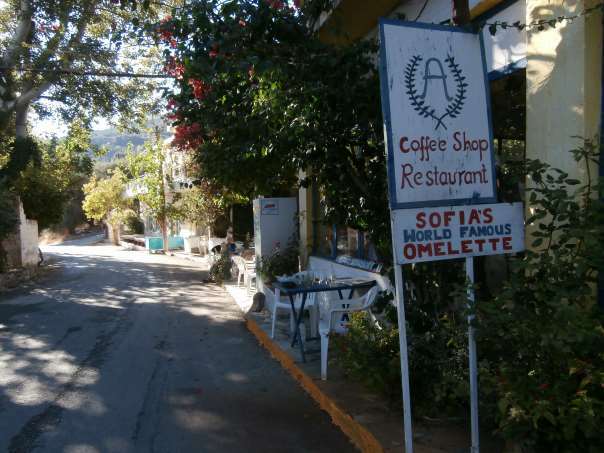 Alfa cafe and restaurant still serves the world famous Sofia’s omelette among other Cretan specialties such as pies with cheese and spinach, fennel or meat pies, stuffed vine leaves to name just a few, all at the cheapest prices! 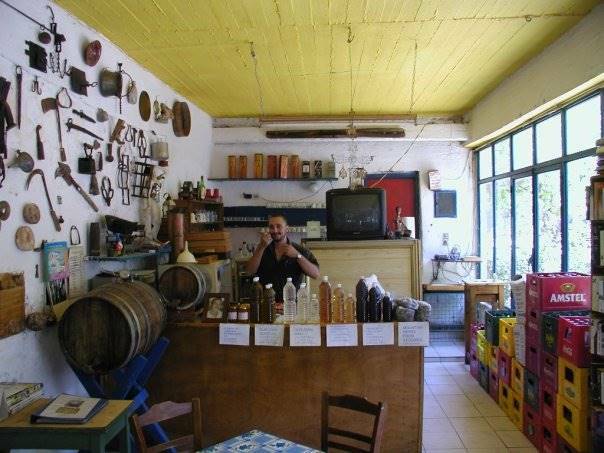 As for the raw materials, they come from the family’s gardens, livestock and olive groves. 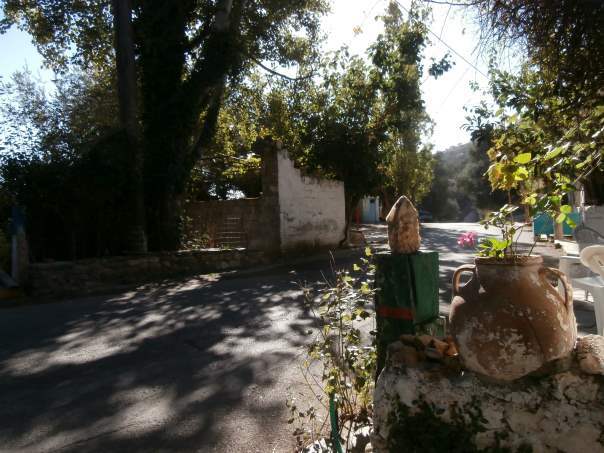 The cafe is also the village Information Center where Lucky is the man with all the answers and knows all of the local history of this serene and picturesque paradise place! 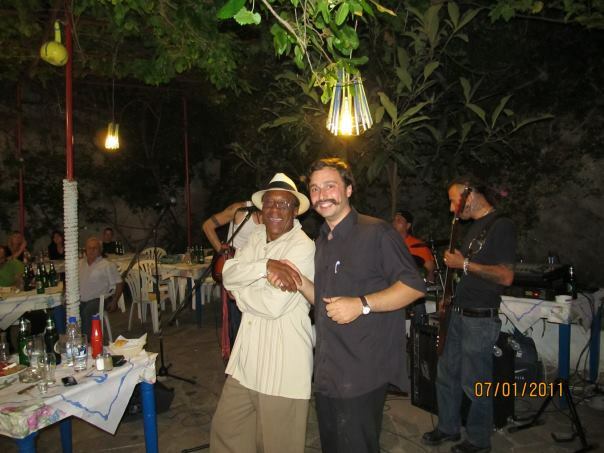 The Alpha Cafe and charming host Lucky, is one of my favourite places to visit on the beautiful island of Crete. 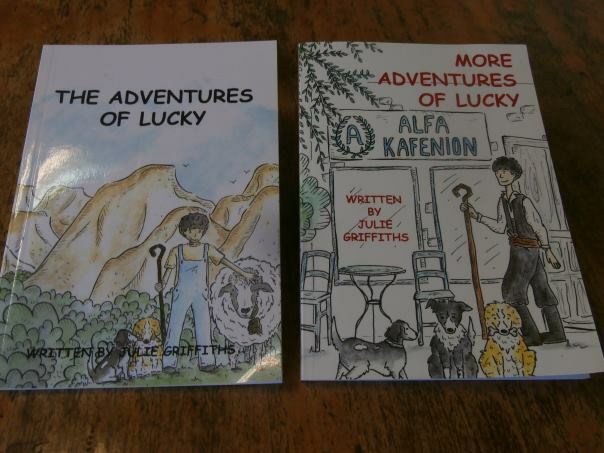 My mother Audrey, always visits Lucky when in Crete. Can’t wait to visit next year! 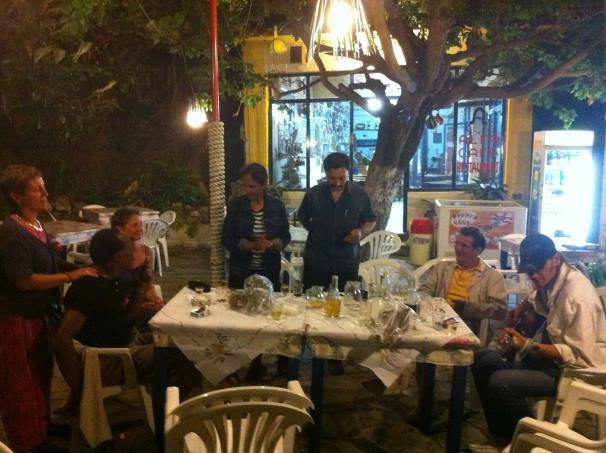 Sublime place….and idyllic spot, great host, informant and entertainer in Lucky. I discovered this for my last three days of a trekking holiday in April 2016, returned in October and brought a family group for a great week at the end of April 2017. i’ll be back…. 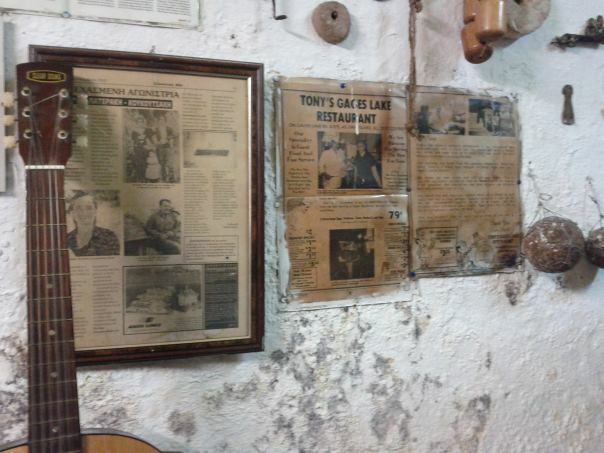 lovely place, great food and a charming host. I will definitely come back! This was by far the best meal I had in the area during my 15 day stay. 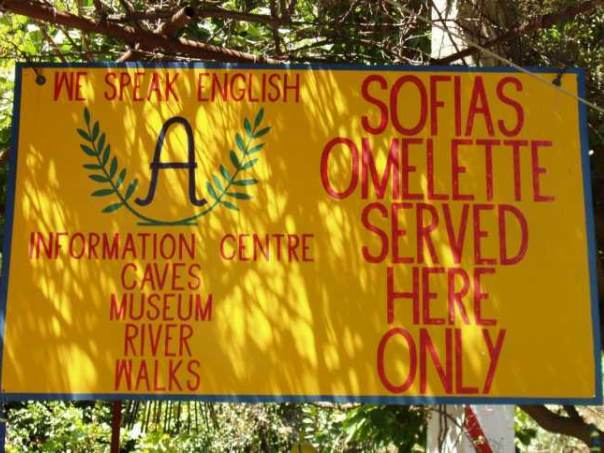 Sofia’s omelette was indescribable, the portions were hefty and cheap! Unfortunately I discovered Azogyres two days before my return home. It’s an awesome place and I will stay there next year.